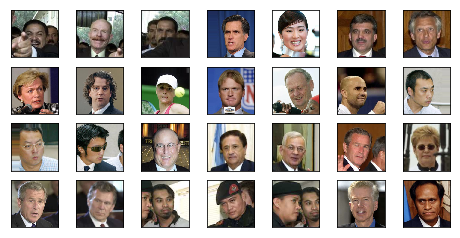 This function will crop and scale the faces in the image with a facial landmark detector, to match the alignment of the faces in the celebA dataset (http://mmlab.ie.cuhk.edu.hk/projects/CelebA.html). To use it, download http://dlib.net/files/shape_predictor_68_face_landmarks.dat.bz2 first. 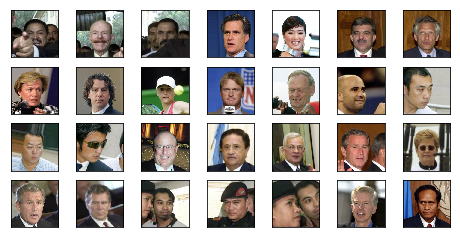 Naturally, the aligned faces have more facial features in common. object_face = cv2.resize(image, (256,256), 0, 0) / 256.